Sphaeranthus indicus Linn. is a species of flowering plant that belongs to the Asteraceae (daisy) family of plant. In this regard it is in the same family as chamomile. 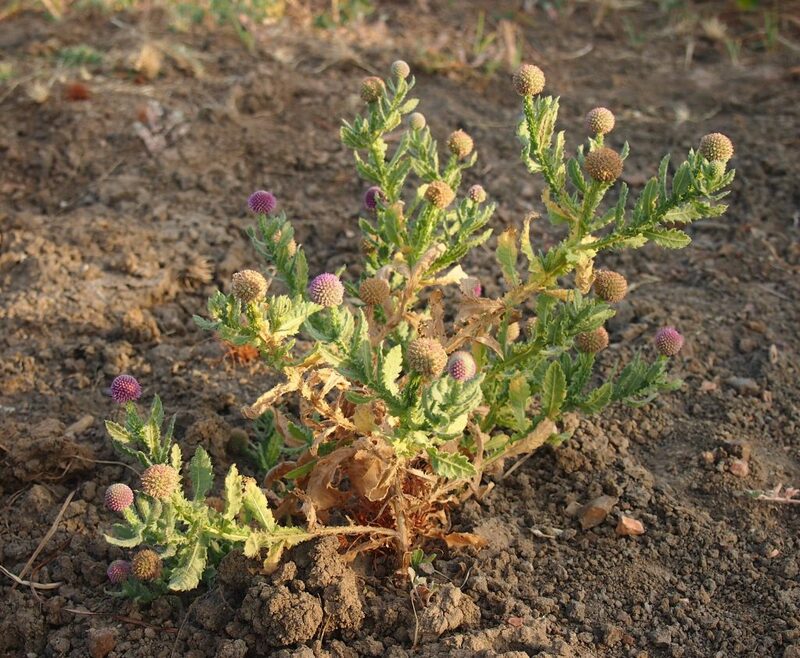 Sphaeranthus indicus can be found growing in India, and common names for it here include Gorakhmundi, its Hindu name. The plant is a highly branched spreading herb, and can be found growing in wet areas, where it is harvested and used for its medicinal properties. Studies have shown that the plant contains a number of active constituents which may explain the therapeutic antioxidant, anti-inflammatory and immunomodulatory action of the herb in humans and animals. Studies indicate that the flowers from the plant may possess anxiolytic effects. For example in one study, researchers administered flower extracts of Sphaeranthus indicus to mice and observed significant anxiolytic effects for the extracts. The behavioural changes were similar to those observed for the anxiolytic drug diazepam, but not as pronounced. In another study, researchers administered extracts of Sphaeranthus indicus, including flowers, to mice. The mice were then exposed to experimental stress. The results of the study showed that the Sphaeranthus indicus extracts significantly reduced the anxious behaviour displayed by the mice. Further, the researchers also demonstrated that the plant extracts also had both anticonvulsant and central nervous system depressant effects on the animals. In another study, researchers investigated the cognitive effects of Sphaeranthus indicus flower extracts on mice. The results of the study showed that the extracts possessed significant acetylcholinesterase activity in mice, and were able to decrease memory impairment in the animals. The extracts were high in sesquiterpene lactones, which the authors concluded may be responsible for the pharmacological activity. Therefore Sphaeranthus indicus may possess anxiolytic effects in animals, which supports the traditional use of the herb as a medicine. This entry was posted in Anxiety, Depression, Mood, Sphaeranthus indicus. Bookmark the permalink.